Bhutan has 750,000 people in it. The capital is Thimphu where the population is 114,551. Another major city is Jaigon where the terrain is hilly and sloppy. The major language in Bhutan is Dzongkha. 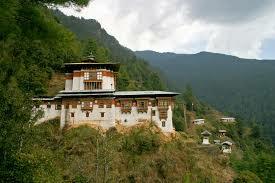 The main Religions in Bhutan is Buddhism and Hinduism. Some important dates are in 1958 slavery was abolished, and in 1971 Bhutan joins the United Nations. The currency of Bhutan is Ngultram. Another interesting fact is that Bhutan didn’t have a Television until 1999. Thanks for getting in your background information! Also, thanks for your sites included.